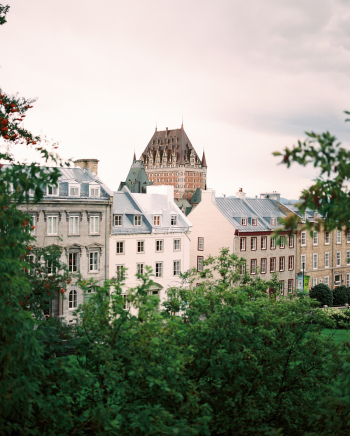 The classic European architecture, cathedrals and café-lined cobblestone streets of Quebec City could easily fool one into thinking she’s wandering around an old French city, especially after finding that many locals don’t speak English. But this beautiful city is actually just a few hours north of the US border, making it a great destination for an exotic escape that’s still close to home. 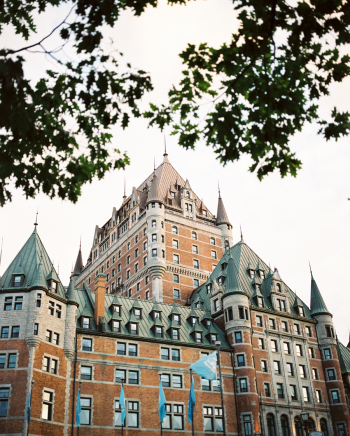 The French built their first fort along the St. Lawrence River in 1535, with a permanent settlement taking hold in the early 1600’s. Exploring the historic Old Town on foot is easy, and while the main avenues tend to be crowded with tourist-oriented souvenir shops and galleries, it’s easy to wander just a block off the main drag and find quaint settings full of locals. 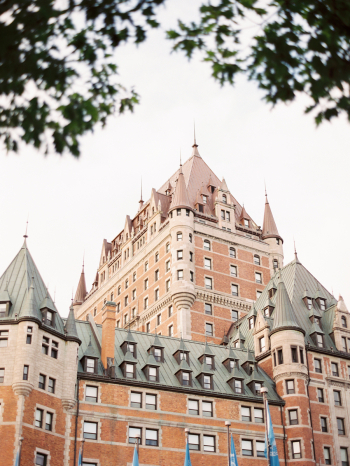 No matter where one is in the city, the spectacular Fairmont Le Chateau Frontenac Hotel will most certainly dominate the skyline. 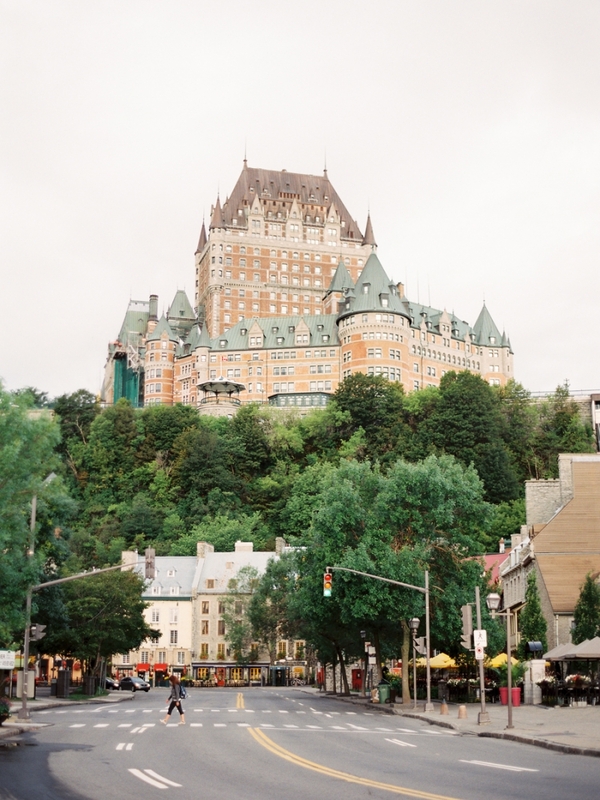 The famous hotel is worth a visit, but be aware that the lobby and restaurants are popular and can get claustrophobically congested with people during the summer months. For a view that doesn’t get as many visitors, an easy 15-minute drive to Montmorency Falls is a great excursion. A gondola will take visitors to the top of the falls, but walking up the giant staircase to the top of the 275-foot high waterfall makes for the best view. 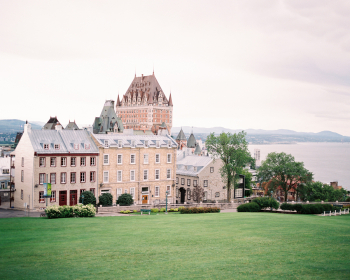 After topping the falls, a visit to the nearby Ile d’Orleans is a great way to round out a day trip. The drive around the picturesque island and through numerous idyllic little villages is the perfect way to get away from crowds, even during the height of the summer tourist season. After getting back to Quebec City, no visit here can be considered complete without a stop at Chocolats Favoris to sample the best chocolate dipped ice cream cones a chocolate fan could ever dream of. Just don’t forget the advice from earlier and be sure to bring your French dictionary! 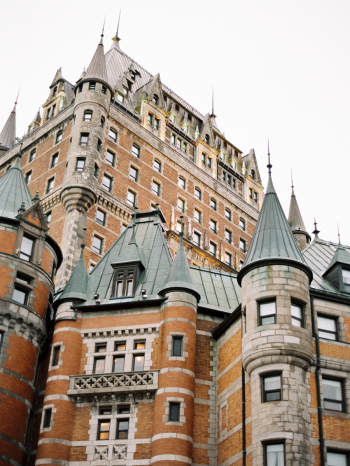 No trip to Quebec is complete without a visit to the Fairmont Le Chateau Frontenac. For a truly delicious experience, stop by Chocolats Favoris. Make the 15 minute drive outside the city to see the picturesque Montmorency Falls up close. 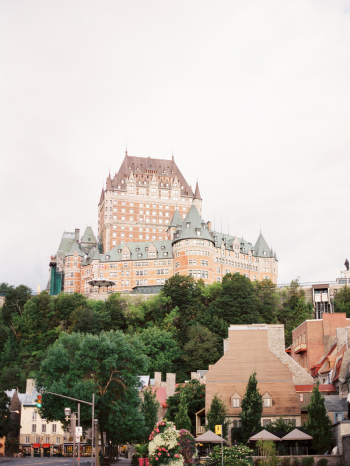 Matthew Johnson is a Texas-based photographer who specializes in using medium and large format film. He grew up in Oregon and Washington, and lived in Key West, Jackson Hole and SW Alaska before settling in Austin, Texas. The city was such an amazing place to wander around and photograph, thanks for sharing the work!